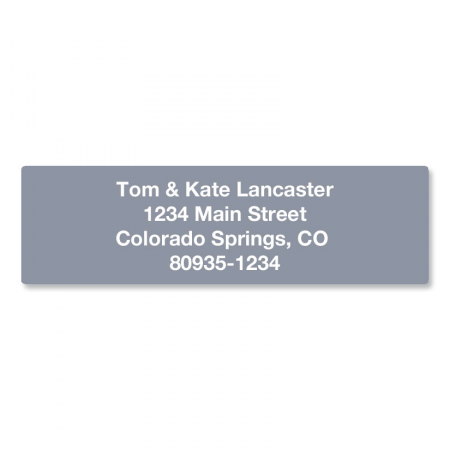 Self-adhesive labels are dramatically personalized in white on a darker background. 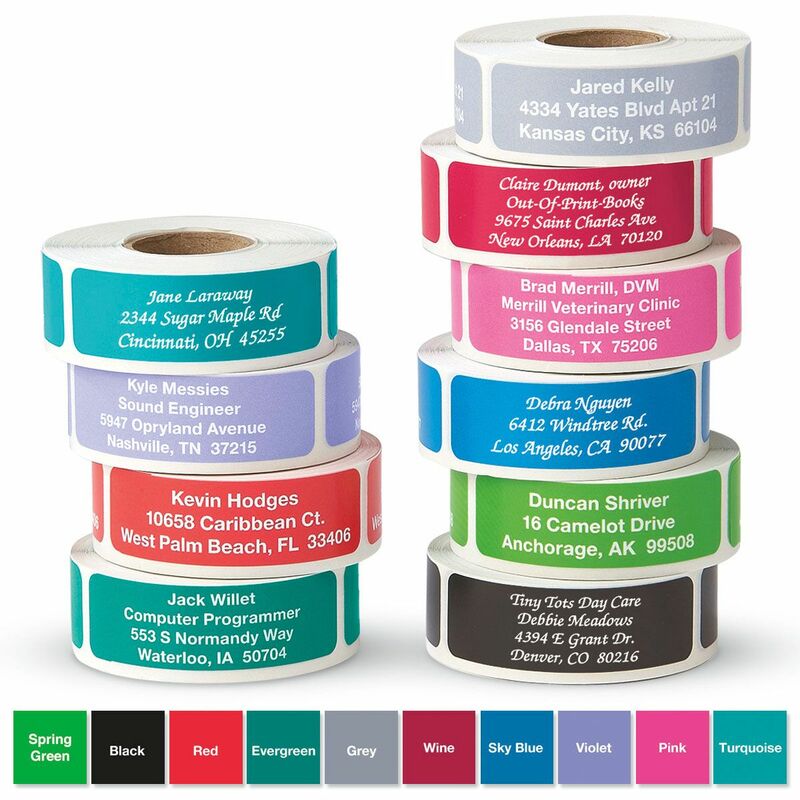 Make them yours by choosing from 10 vibrant background colors! These remarkable labels make every mailing stand out in the recipient's mailbox and add an impressive look to letters, notes, and packages. 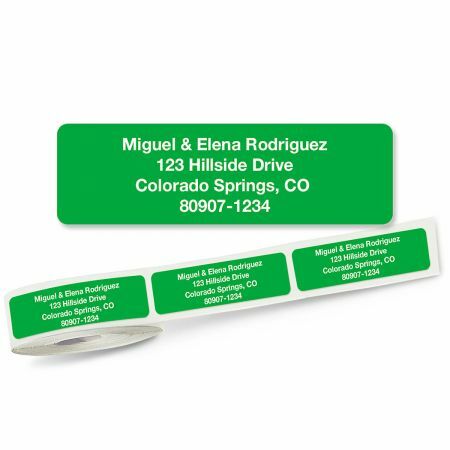 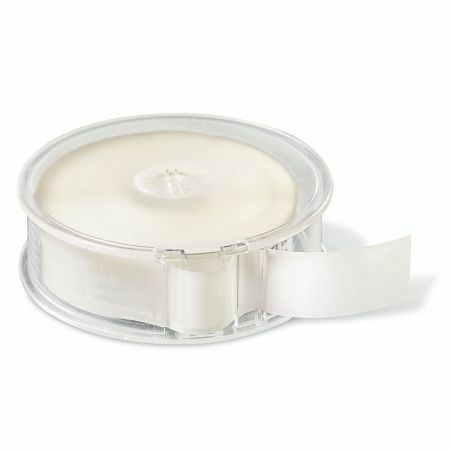 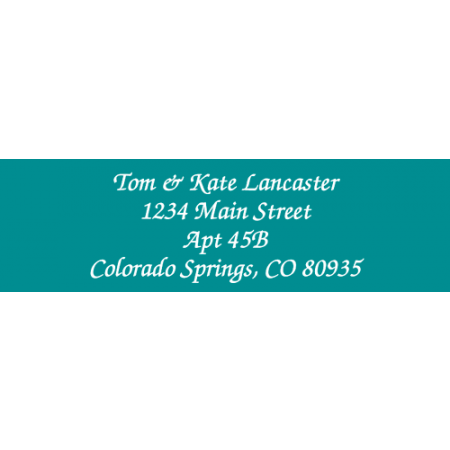 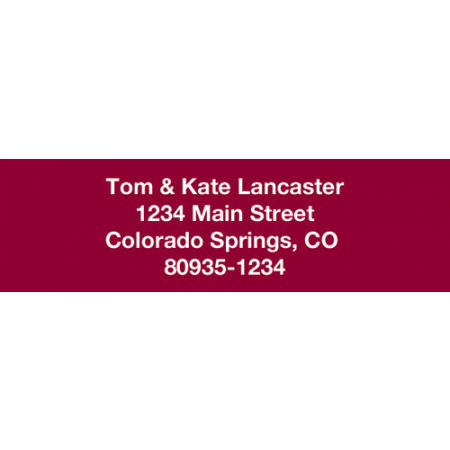 Each label measures 3/4" x 2 1/4"; each roll includes a FREE clear acrylic dispenser.